It's hard to imagine that Christmas movies are already coming out, but that is what is happening! This past weekend I took my daughter to see The Nutcracker And The Four Realms. Sadly it looks like the movie is not doing well in the box office, (It made $20 million in its opening weekend off of $125 million plus budget), but I found it to be pretty good. It does not compare to last year's Beauty And The Beast, but this was a fun movie to take my six year old to. The Nutcracker and the Four Realms is a fantasy adventure film directed by Lasse Hallström and Joe Johnston and written by Ashleigh Powell. 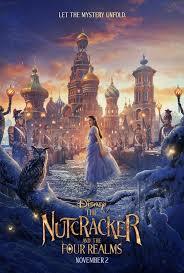 It is a retelling of E. T. A. Hoffmann's short story "The Nutcracker and the Mouse King" and Marius Petipa's The Nutcracker, about a young girl who is gifted a locked egg from her deceased mother and sets out in a magical land to retrieve the key. 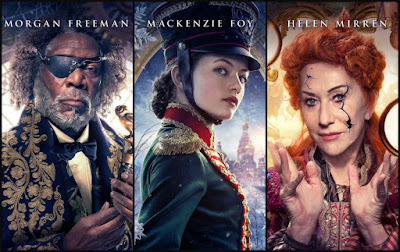 The film stars Keira Knightley, Mackenzie Foy, Eugenio Derbez, Matthew Macfadyen, Richard E. Grant, Misty Copeland, Helen Mirren, and Morgan Freeman. Mackenzie Foy was really good in the female lead playing Clara. She best known for appearing as Renesmee Cullen in the 2012 film The Twilight Saga: Breaking Dawn – Part 2. Also veteran actors like Morgan Freeman and Helen Merrin are their usual bests. They never put in a bad performance in any rule. 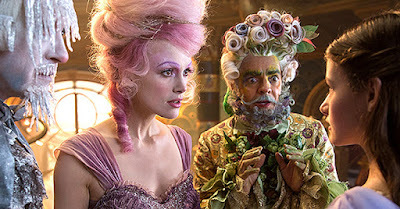 However, the stand out for me was Keira Knightley as the Sugar Plum Fairy. I never really thought much of her as an actresses, but she was unrecognizable in her role, and she really did a great job on her character.